Styling your modern master bathroom requires many more choices than it has in the past. Gone are the days of walking into a store and buying a sink, bathtub and toilet in a matter of minutes. The bathroom is now a room with a style and elegance all its own. Bath vanities are more than just sinks – they are furniture pieces. Bathroom lighting includes chandeliers, sconces, exquisite vanity lights and recessed lighting. Know the look you want to achieve and coordinate the items for a finished look. 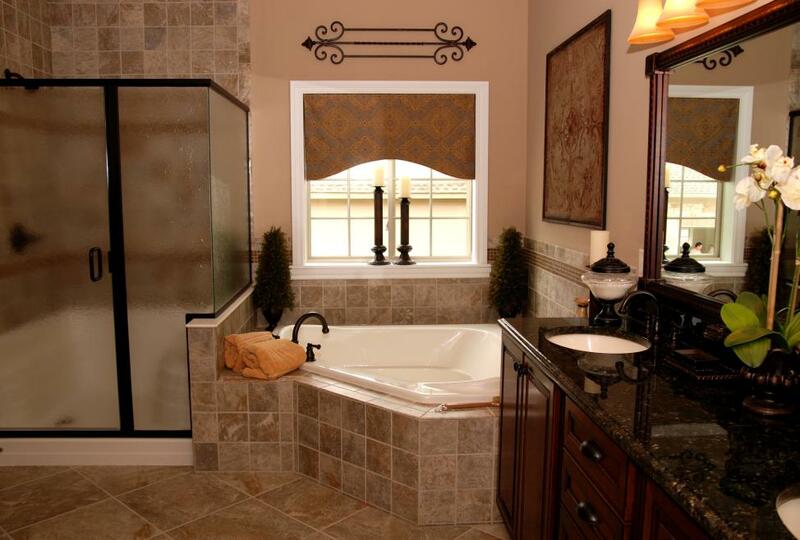 Bath sinks and vanities make for a major choice in bathroom decor. You must decide whether you want a pedestal sink or one incorporated into a vanity. Discover sinks in styles including wall mount, under counter, above counter and counter top. Choose between traditional porcelain or stylish vessel sinks. If you decide to put a vanity in your master bathroom, you can find them in a number of rich wood or painted finishes. Bath walnut wood vanities are lovely in a master bath. Know what size of vanity your bathroom can accommodate and whether you want single or double sinks. Lighting adds the perfect finishing touches to your room. Bathroom wall lighting gives soft illumination to specific areas, and the sconces add style. Small chandeliers are popular in master bathrooms, as they add grace and charm. Determine what sort of vanity lighting you want over your mirrors; choose among contemporary, traditional and transitional styles for the look you wish to achieve. Let your choice of vanities and lighting reflect your personal style. You have so many options that you are sure to find the perfect elements to fit your design.